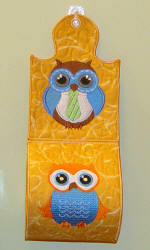 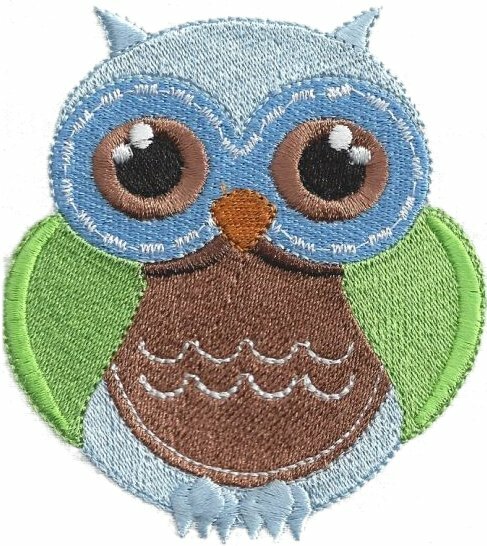 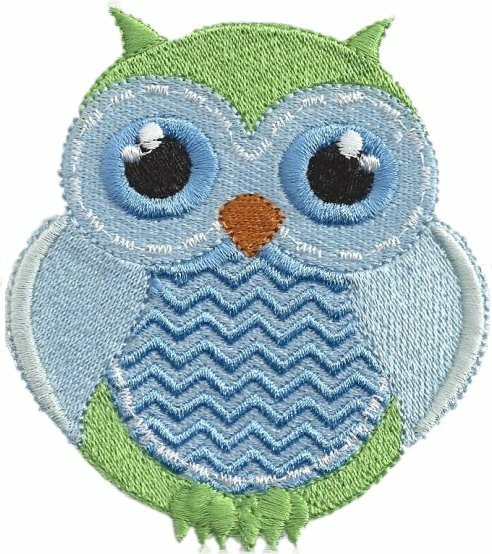 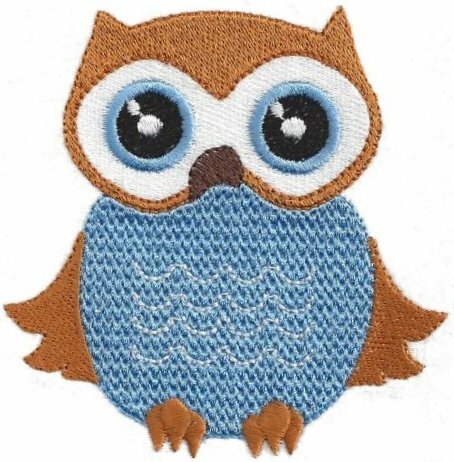 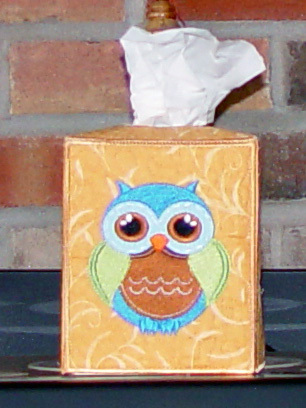 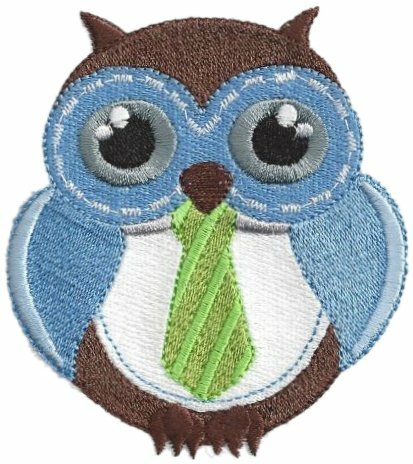 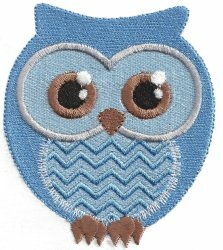 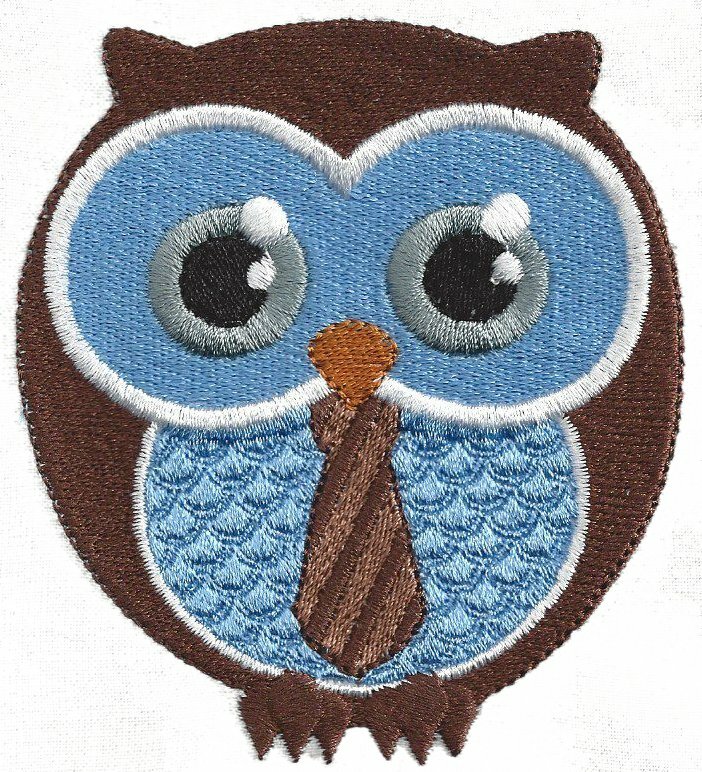 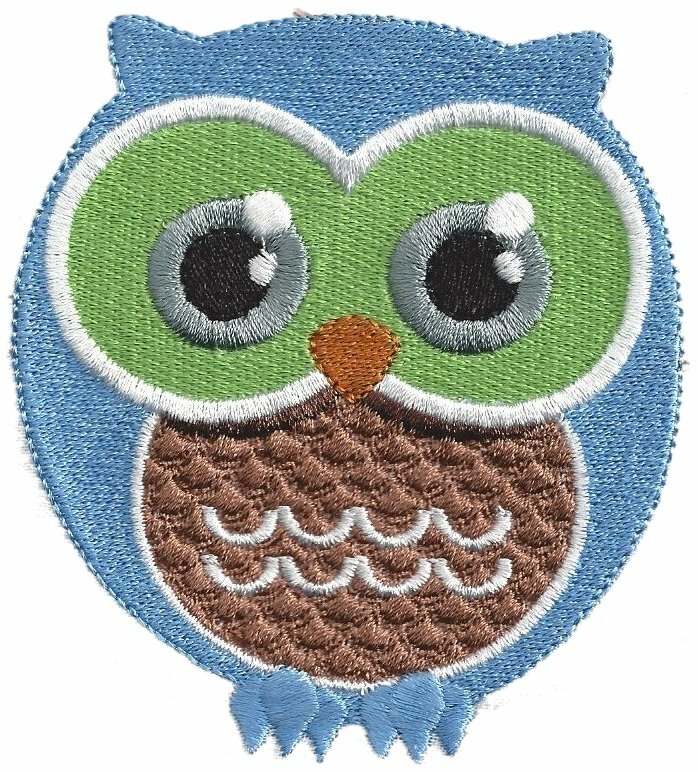 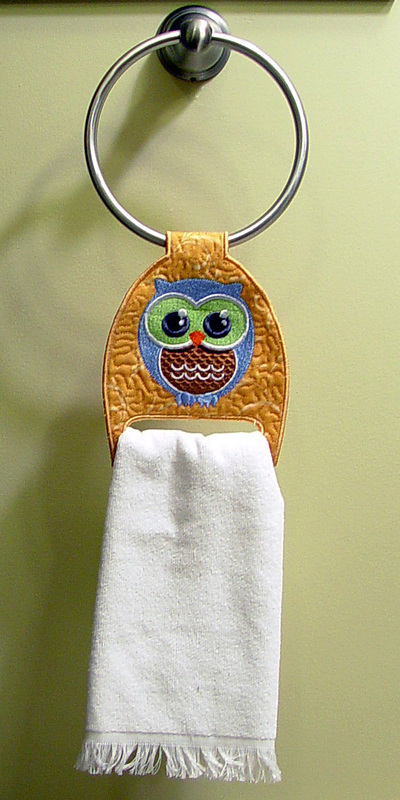 9 super cute baby boy owls offered in two sizes. 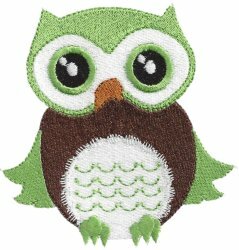 FREE Branch sample design to download at bottom of page! 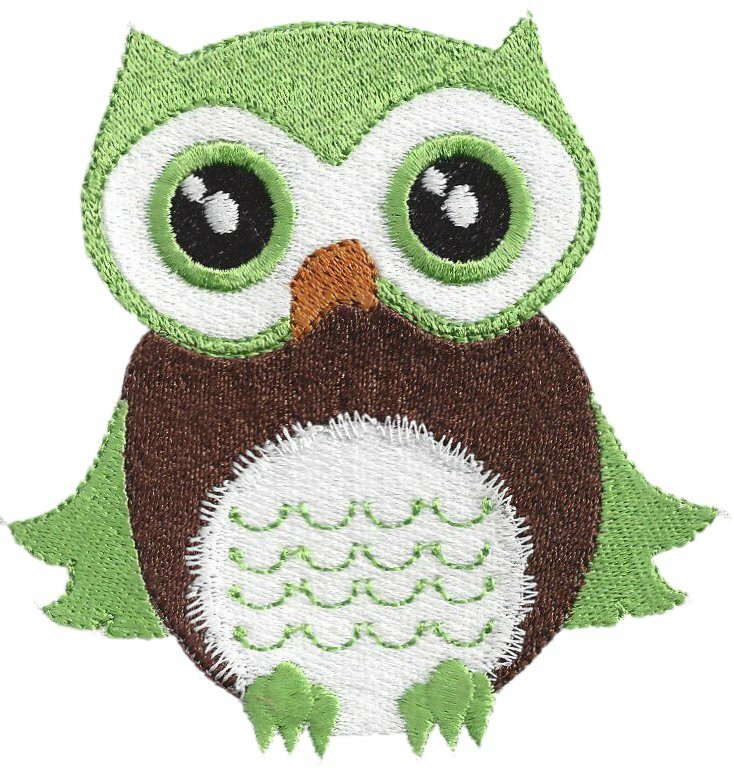 Check out some project ideas below! 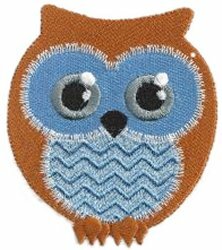 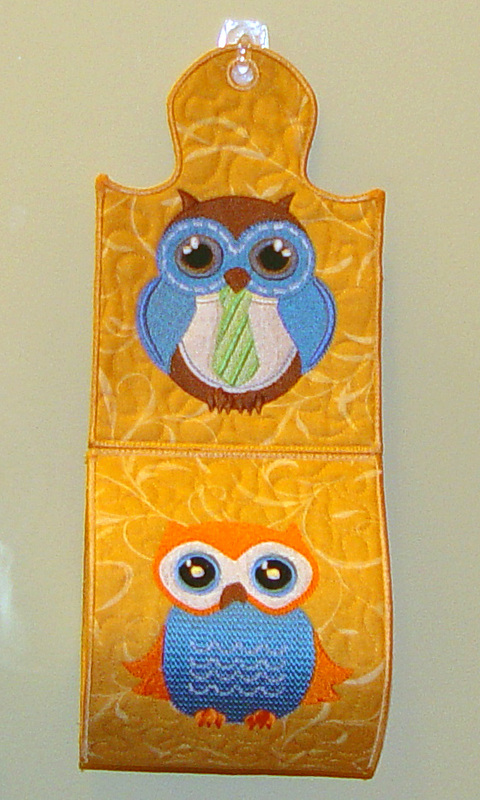 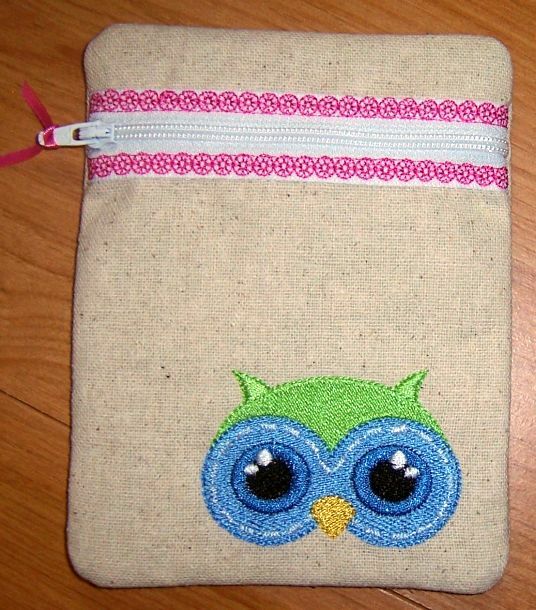 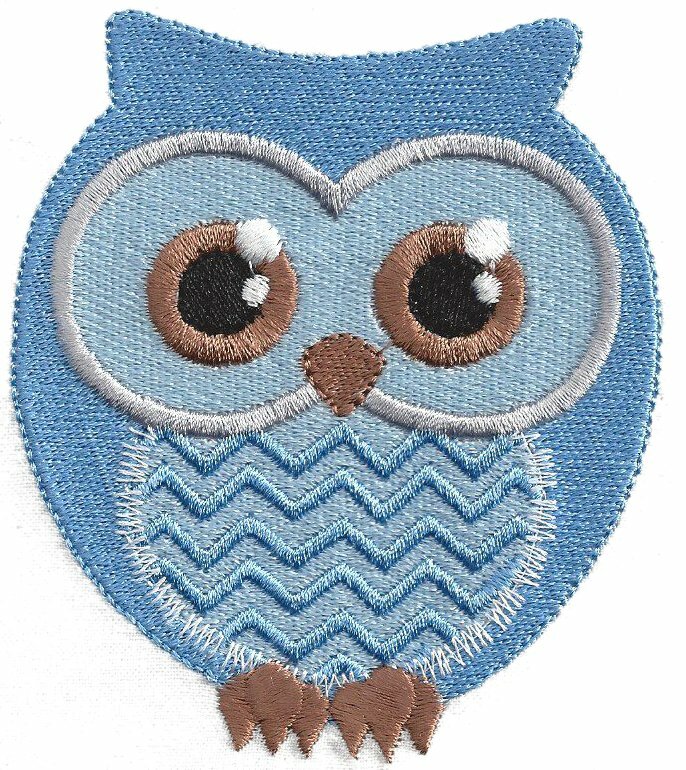 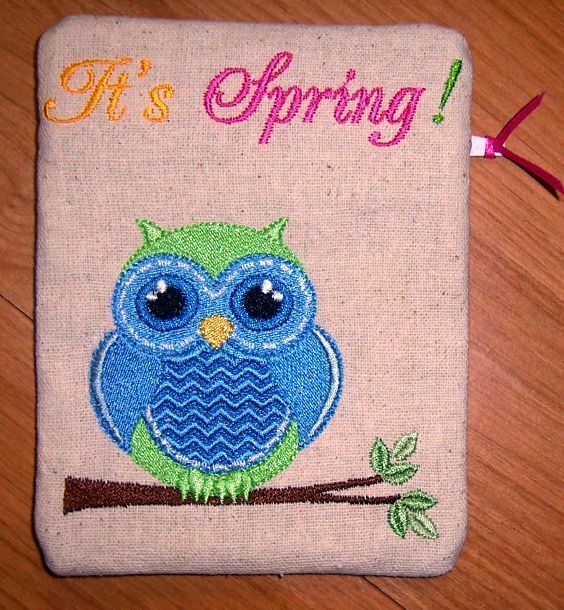 This is the other side of Granny's gadget bag where she stitched just the owl's head. Cute idea. How about Betty's ribbon blankie? 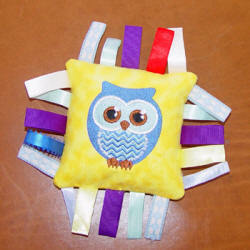 Check out this reversible fan pull that Fanchon stitched on felt, cut out, and inserted a chain into. How cute is this? 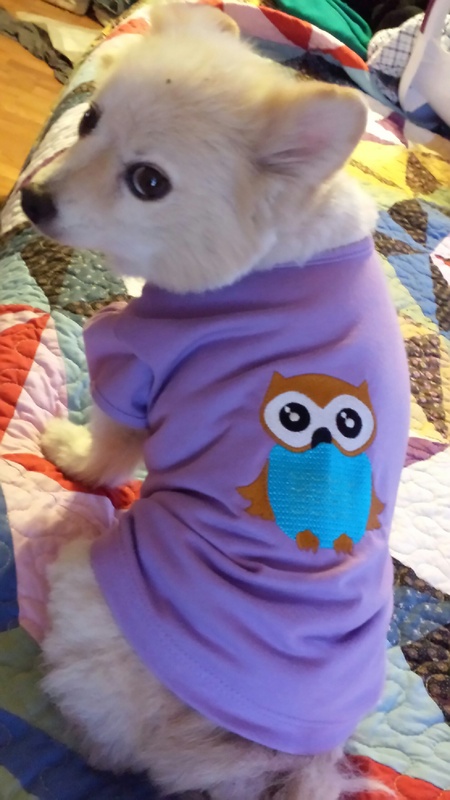 Dee's furbaby in a new T.